Höganäs Borgestad understands the demands of the production process in detail, and we are an experienced supplier of refractory material for electrolytic cells. BJUF F is the classic ‘good old brick’ used for decades throughout the aluminum industry. Its 33-35% alumina content provides excellent resistance against attacks of molten electrolyte. The brick is available in a wide range of different formats. The largest cross section area is 500×500 mm. ALU 30 is the alternative brick with 29% alumina content. 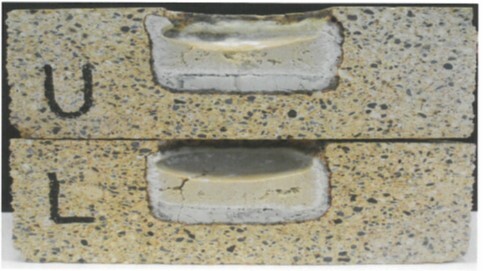 Several studies show that silica-rich barrier bricks like ALU 30 create a viscous barrier in reaction with molten electrolyte. 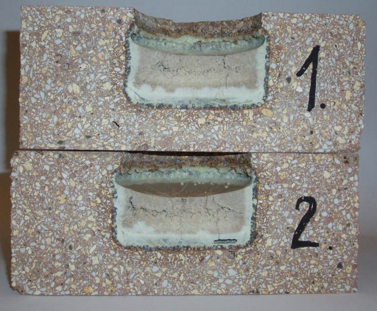 This brick shows especially good results from cup tests with molten electrolyte. ALU 30 is also available in large format. At installation we use mortars that match the properties of Bjuf F as well as ALU 30. Our well-known barrier brick qualities are delivered from standard bricks to larger formats worldwide. 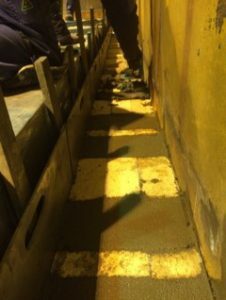 Our monolithic Thermocast 7.4.1 has become a standard in the aluminum industry to fill and seal open gaps in the refractory lining around the cathode steel bar. Thermocast 7.4.1 is very easy to work with, delivering exactly the right combination of strength and flexibility. Superior cryolite resistance. 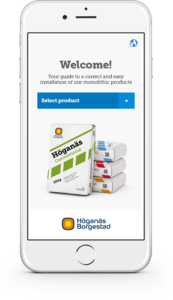 Höganäs Borgestad delivers this product in flexbags tailored to your order, ranging from 25 to 1000 kg, so you get exactly the right amount of product for your installation. All of our materials are regularly monitored by a number of quality institutes like SINTEF (the Foundation for Scientific and Industrial Research at the Norwegian Institute of Technology), to assure product uniformity and consistency. Contact us to get facts from the reports.